A classic rose motif ideal to combine with special words. 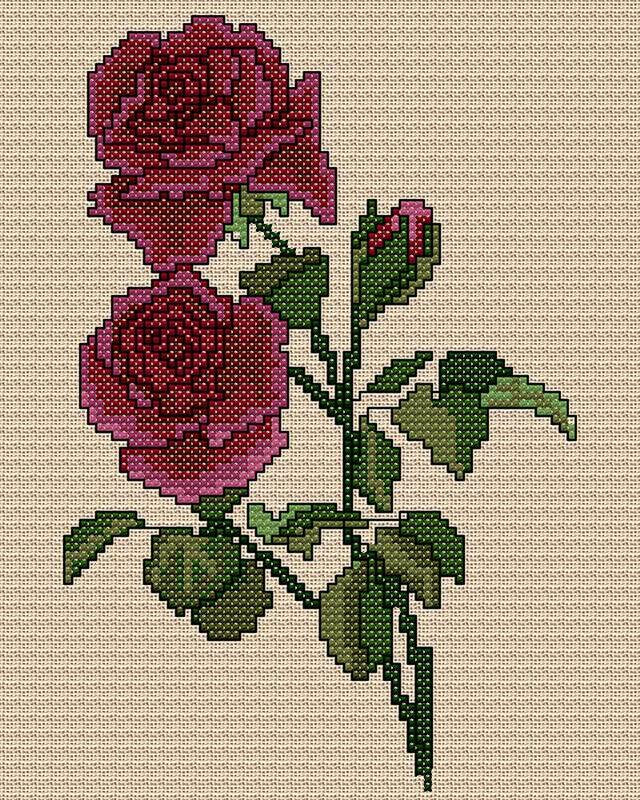 Worked in cross stitch with backstitch outline. You can, of course, work this on any fabric of your choice but remember that the thread count of your fabric will determine the completed size of the completed stitching.